The weather is warming up and the grass is starting to really grow. And grow. At the weekend, the air is filled with that sound of Summer, the gentle hum of lawnmowers in the distance. Why do we do it? All those hours spent trudging behind the mower, not to mention the petrol, and the loss of habitat. So while I do like a little bit of nice stripey lawn, this year I am proud to be joining in with Plantlife’s Say No to the Mow campaign. 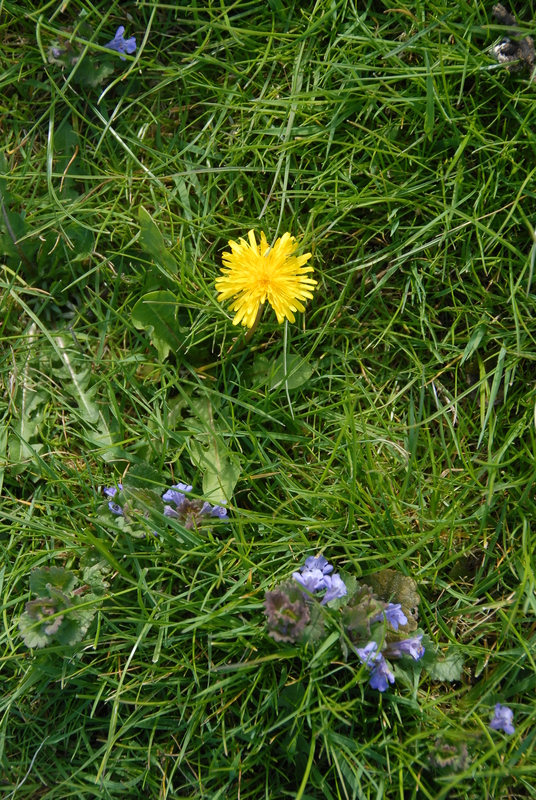 They are encouraging people to stop mowing a patch of lawn – however tiny – until the Autumn. 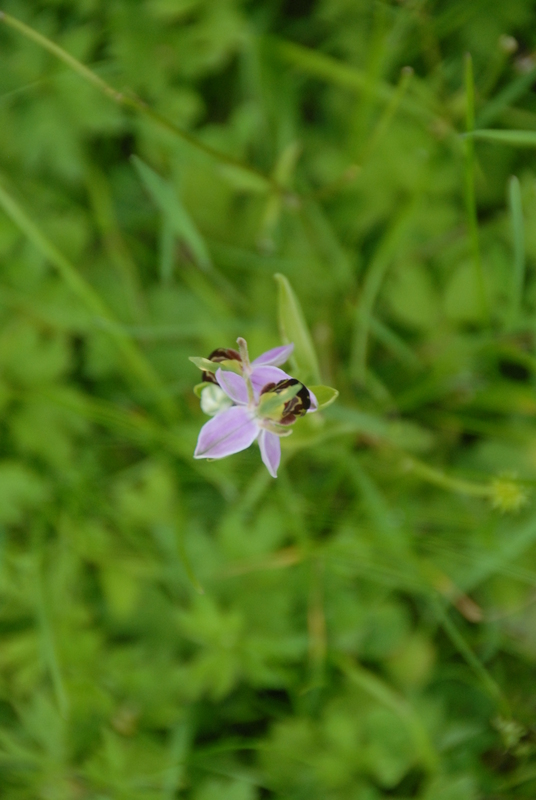 The idea is that wildflowers will emerge to bring in pollinators, while the longer grasses provide habitat for other insects; birds can then feast on both the insects and the grass seeds. Even a tiny area is soon teeming with plants and wildlife. So what’s growing in our no-mow-zone? 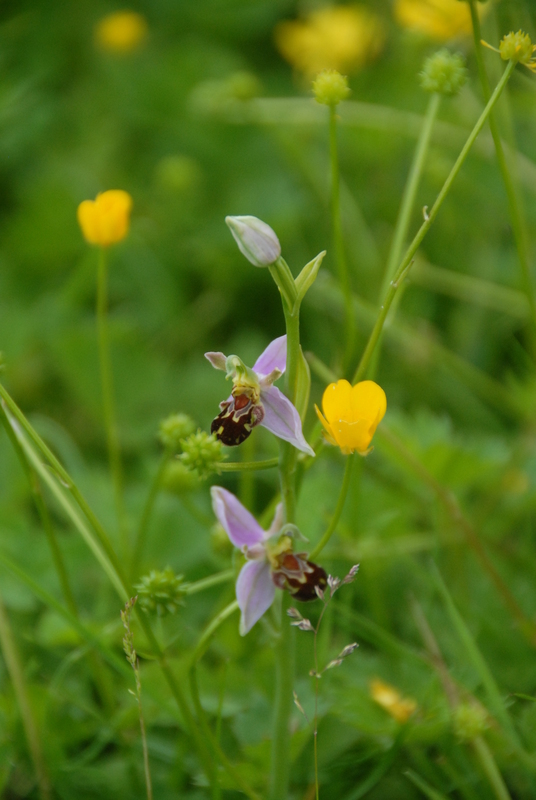 Well, so far we have buttercups, clover, plantains, many pretty grasses and, most excitingly, bee orchids. The kids love this area, they hide in the grasses and play at creeping through the ‘jungle’ – it’s far more exciting to them than flat, tidy lawn. If you can’t spare the space to let things get really wild, even just leaving a couple of weeks between mows can bring a little more wilderness into your garden. As a result of laziness our deep commitment to wildlife, what passes for lawn around here is often left for a week or three before we haul out the mower. The lovely thing is, even in that short time, you quickly end up with a lawn that is studded with little wildflowers. We’ve had daisies, buttercups, ground ivy, self-heal and dandelions. On a sunny afternoon, fat bumblebees pootle from flower to flower. The grass is still short enough for the kids to run around and kick a ball, and looks just lovely. Giving the mower a rest can bring beautiful surprises, too. Back in May, there was a long patch of grass I just didn’t get round to dealing with for a few weeks. Just as I was about to get the mower out, I noticed something white and sparkling in the long grass. At first I thought it was daisies, but when I looked closely, I found this lovely thing – I’m pretty sure it’s Star of Bethlehem. If I’d been keeping up with the mowing, it would never have had chance to flower and set seed, and I would never have known it was there. 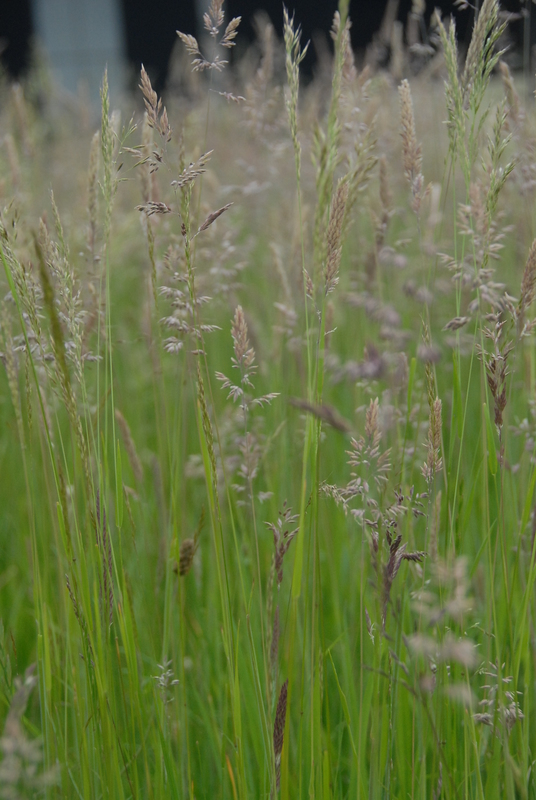 So go on, just for a couple of months – let nature do it’s thing, and Say No to the Mow! Sounds lovely…The long grasses are so lovely, as well as the flowers. 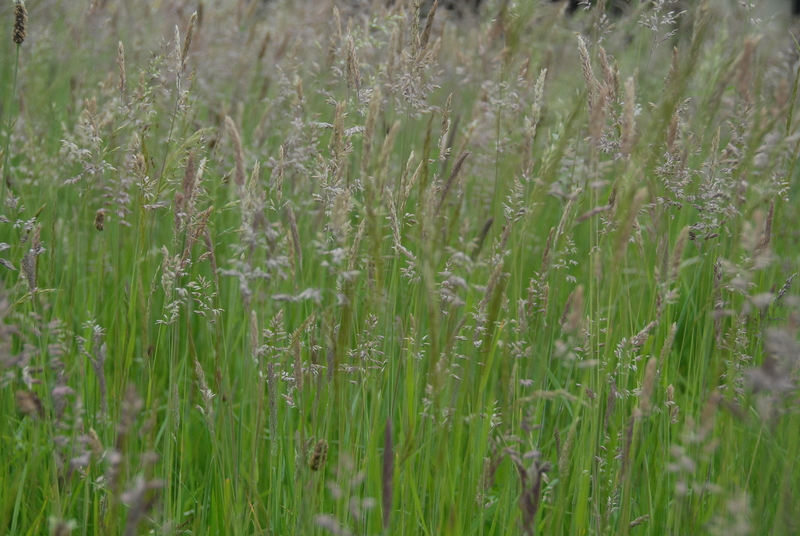 And I love a path mown through long grass…makes me want to explore! Your no-mow strip sounds great. Are you getting any interesting flowers popping up, or seeing any unexpected critters? What surprises me is that people cut their grass and apply chemicals to kill off unwanted daisies and other wildflowers in their lawn and then buy expensive wildflower seeds to sow in their flower beds. We have a mown lawn with plenty of colour in it but also areas where the grass grows long with paths mown through it. Your grass looks wonderful. I totally agree – I love daisies, and even dandelions! I like your description of a mown lawn ‘with plenty of colour’…we’re so used to the idea that a lawn ‘should’ be neat and green, it’s nice to think that it’s just fine for a lawn to be, well, flowery! 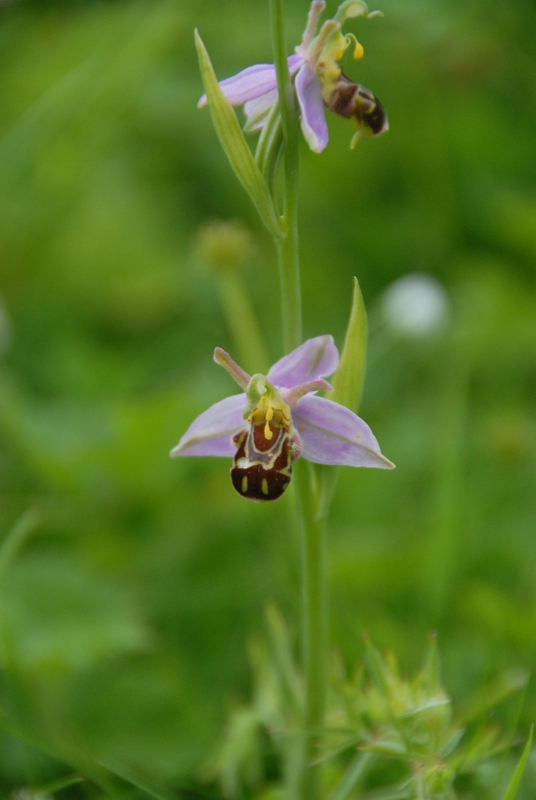 This is really lovely, we started doing this last year and its quite exciting to see what pops up, no Bee orchids for us though, but lots of clover, which if we do not get any rain stays green long after every bodies primped lawns go brown. The bee orchids were a surprise, we have had a few in the fields but they seem to be spreading…I love them, they look so exotic next to the buttercups (tho I love those too…) Good point about the clover – I agree that our clovery/grassy bits are more resilient, and seem to look good in their own way whatever the weather throws at them! I’m not sure if my bumble bees”pootle” or not :), but they do enjoy the wild flowers that grow on unmowed areas. This year I plan to keep larger areas unmowed. A person might even design a yard sign to encourage others to do the same. “Save the Bees, Say No to the Mow.” I like it. In our area you have to be careful about areas that go wild. Nightshade plants can be unpleasant to step on, and gotcha vine is no better. Of course, a little careful weeding can keep those at bay. We’re very rural…more lost in the woods, so there’s plenty of growth. The blackberry bushes and honeysuckle go crazy here. It’s amazing what can and will grow. However, you still need to remember to maintain it. Wild areas grow best if you clear out the dead stuff from time to time. Gotcha vine is slang for the local thorny brambles. Think Disney’s Sleeping Beauty. They grab onto everything and it’s hard to get them to let go. Supposedly they’re some kind of wild rose. Whatever they are, they’re nasty. There’s a lot in the American Southwest that seems to have it out for whatever comes it’s way. What a great idea, Sadly not something to encourage here in Italy because of the risk of fire! But there are enough verges and field edges that aren’t cut to mean there is no shortage of wild flowers. 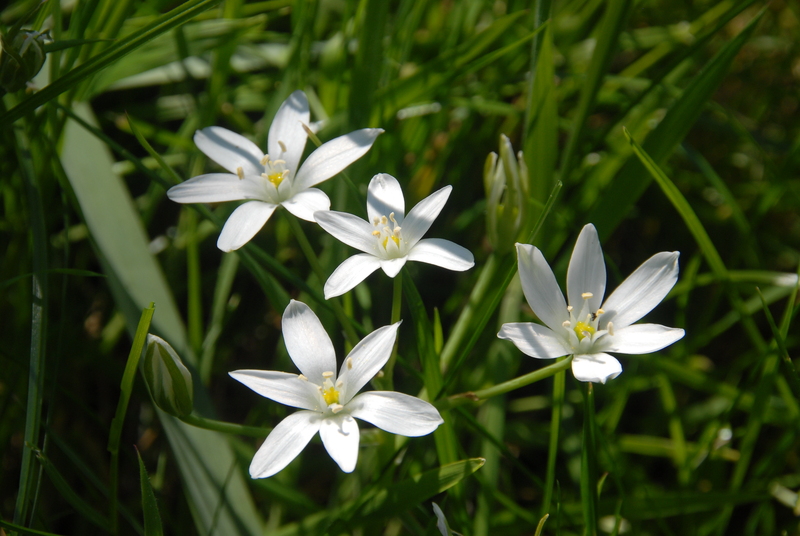 I think you’re correct about the Star of Bethlehem, something we have here in the garden and in the surrounding countryside,. Lawns are a pet peeve of mine. Have you read The Theory of the Leisure Class by Thorstein Veblen, the man who coined the term “conspicuous consumption”? He has a rather long rant against lawns (this was back around the 1890s!) and says we should have cows grazing in our city parks, not [stupid] lawn mowers. It’s taken over 100 years for cities to even THINK about doing that (with goats)! Well, that’s the end of my rant. Great post! You’re welcome for the info on Veblen. The part about lawns and cows has always stuck with me. That’s so smart to put sheep in parks! OMG. I need to move to the Netherlands. I heard that goats were put in parks in Los Angeles (I live near San Francisco), but I think people complained. I’ll have to look that up. I have a feeling it wasn’t so successful (but I may be wrong). Eventually, we will have no choice but to revert back to these smart (old) ways.